In McKinley Park, teen use of alcohol and marijuana soars high, even compared to state averages. According to localized data from the 2016 Illinois Youth Survey, eight percent of eighth graders reported binge drinking five or more alcoholic drinks in the past two weeks, compared with only 5.5 percent for the state of Illinois. Eleven percent of McKinley Park eighth graders reported using marijuana in the past month, compared with only 7.1 percent in the state. High schoolers see use of these substances as widespread—even if they are not. Almost 60 percent of high school students in McKinley Park believe that over half of their peers use alcohol and marijuana regularly. In reality, only about a quarter of students drank alcohol, and only 16 percent used marijuana in the past 30 days. This perception regarding substance use can be dangerous. 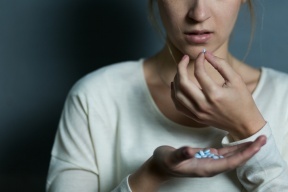 The National Institute on Drug Abuse cites serious social and health risks for teenage substance use, which include vulnerability to substance use disorders in adulthood, school failure, problems with family and other relationships, violence, risky sexual behaviors, loss of interest in normal healthy activities, and even the risk of overdose death. To “shatter the myths” surrounding drugs and alcohol, the McKinley Park Underage Drinking and Other Substances Prevention Coalition (McK-UDOS) is participating in National Drug and Alcohol Fact Week. This educational initiative was established by the National Institute on Drug Abuse in 2010 to counteract myths surrounding alcohol and drugs that teens receive from the media, popular culture or from friends. As part of the national effort, McK-UDOS has launched a community awareness and education campaign that is linguistically competent for Spanish- and Chinese-speaking households in McKinley Park. In McKinley Park, the issue of a language barrier may be heightened, even compared to the rest of the city of Chicago. According to the 2015 American Community Survey, more than one-third of residents in the neighborhood were born outside of the U.S. Eighteen percent live in socially and linguistically isolated households, in which all members age 14 and over have some difficulty with English. In comparison, only nine percent of households across the city are linguistically isolated.